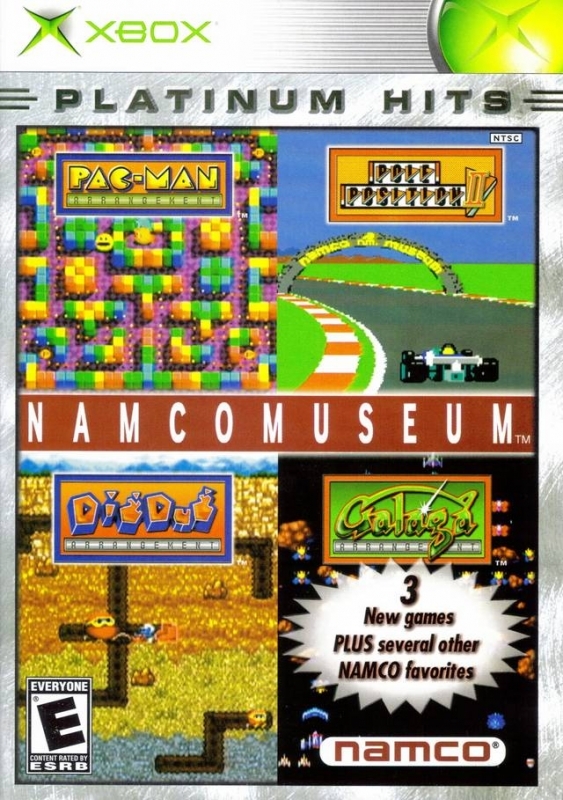 The Xbox® video game system gets the classic treatment as an all-new Namco Museum™ hits home with all the retro gaming goodness that this series is famous for—only now it's bigger and better than ever! 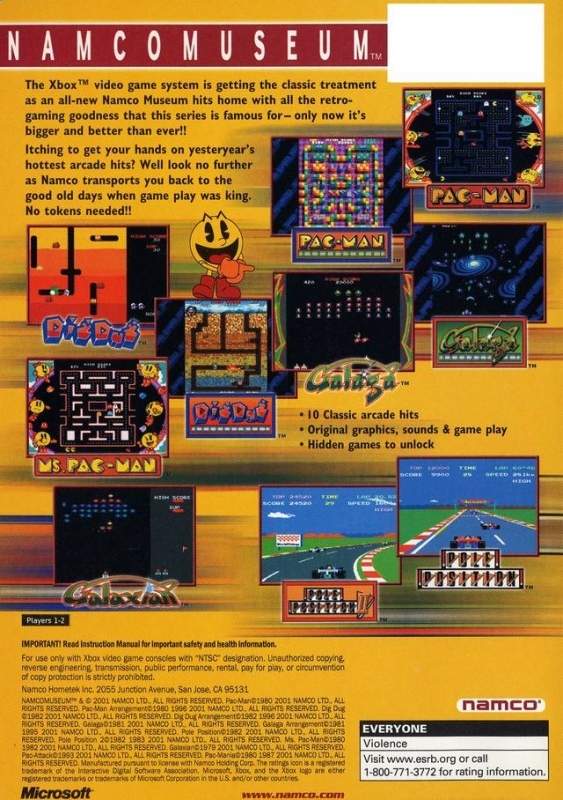 Itching to get your hands on yesteryear's hottest arcade hits? 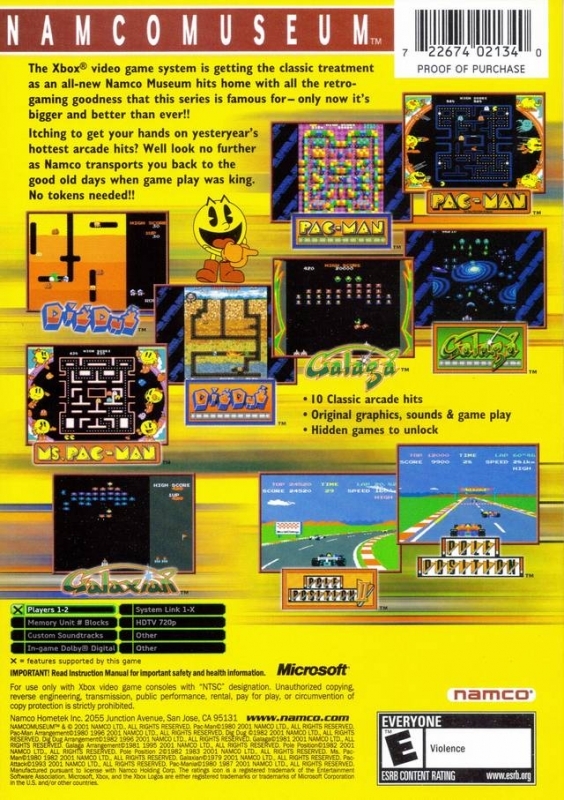 Well, look no further as Namco transports you back to the good old days when gameplay was king. No tokens needed! This title is playable on Xbox 360™ with a software emulator. Please see http://www.xbox.com/en-us/games/backwardscompatibility.htm for more details. I can see why these games were popular. They're still fairly addictive after 25+ years. Platinum Hits, and only released in the Americas. Impressive.